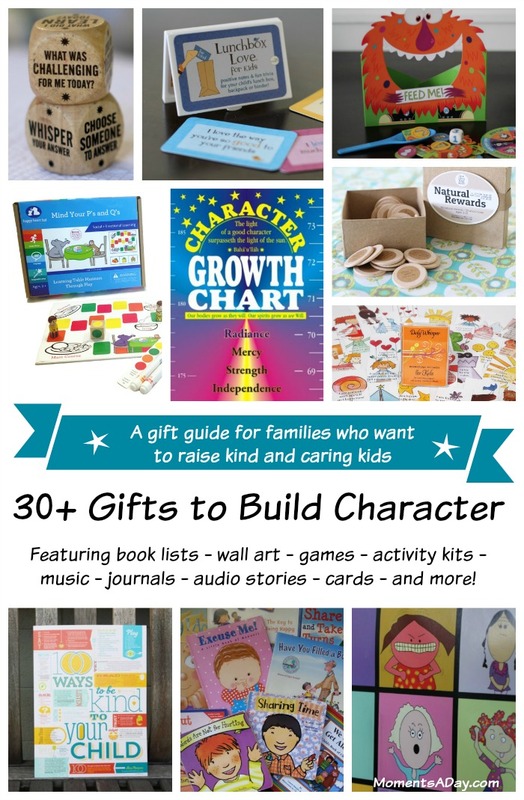 I love to give gifts that help kids build character – there are so many awesome ways we can teach our kids about positive character traits and there are some amazing books, games, and other fun resources that can help. Here are some of the fabulous products I have featured on my blog’s resource section, plus a few extras I have found recently! Books! There are tons of character education concept books (that link has 30+ of my favourites), or here are some lovely stories about bullying and standing up for yourself by one of my very favourite authors Maria Dismondy. 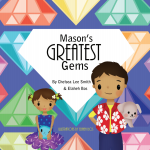 Plant Love Grow also has an amazing collection of books to help nurture kids to their full potential – one of which is our recently released Mason’s Greatest Gems which offers an easy introduction to what it means to build character in the first place. Games! Cooperative board games by Peaceable Kingdom, a quirky matching game to learn about feelings by Feeleez, or these lovely Life Dice which promote meaningful conversation in the family (in a fun way!). Music! I absolutely love all Red Grammar CDs. Some other favourites include: Children’s Virtue Songs (Preschool); Virtues in Us: 19 Quotation Songs; Children’s Virtues Songs (School Age); The Virtues Songs A-Z has more complex songs for 52 virtues; and any of the albums by Full Circle Learning. Activity kits! Happy Heart Kid uses crafts, games, stories and more to learn about character traits, and Little Loving Hands provides crafts that kids can make and then send back to a new charity each month. Online resources! You can download or use these online – check out the interactive resource Affies for Kids and Talking with Trees has lovely audiovisual books you can download straight to your iPad. Audio stories to manage stress (by Stress Free Kids), to learn life lessons (by Sparkle Stories) or for night time calming down techniques scroll down to the middle of this post to read about Dinosnores CDs. Journals to inspire a positive attitude by Plant Love Grow, idea boxes such as the Natural Rewards Box, growth charts and magnets featuring a list of virtues. Motivational cards with inspirational phrases by Daily Whisper or cards to teach about virtues by The Virtue Project. We also love these Lunchbox Cards to inspire positive thinking. Inspiring wall art! Here’s a fun Feelings Poster by Feeleez, or check out the gorgeous “64 Positive Things to Say to a Child” or “100 Ways to be Kind to a Child” (both available in two sizes) by Creative with Kids. You can see an ABC virtue poster here, as well. For babies! There’s an adorable board book that goes with the Bucket Filling resources, a sweet book about “delicious manners” by Maria Dismondy, or a number of board books about love. **BONUS** For grown-ups! Kindness themed magnets from Ripple Kindness Project, gorgeous personalised + inspirational jewellery from Uberkate, any of my all time favourite parenting books or a great read for teachers as well as parents The Heart of Education. What other meaningful gifts have you given your kids, or do you plan to give them? Please share your favourite presents in the comments below! If you are planning a party, you may also like to add an element of service. Read this post for over 15 party ideas that incorporate kindness. Browse many of the recommended resources mentioned above on this page. It seems that most of theses resources are geared towards younger kids. Do you have any items that would be useful for ages 11-14?? Hi Kathleen! 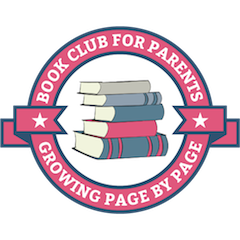 My site is geared to younger kids and unfortunately I don’t have a ton of experience with that age group, but one place to start is the journals at PlantLoveGrow.com or the books for older kids from BucketFillers101.com Hope that helps!